Born in New Jersey, Susan Sommers is one of Canada’s best-known authors and experts in marketing and media relations. She founded her communications’ company, susan sommers + associates, in 1982 and, since then, she has written four books on marketing and media relations. She has taught and lectured extensively in universities and at conferences across Canada and, for the past 25 years, she has taught marketing and media relations’ courses through the School for Continuing Studies, University of Toronto. Susan’s vision for physical and mental fitness emerged from her own long-standing issues and struggles with weight and body image. She thus brings unique personal inspiration to her quest to mentor and educate women about the life-changing impact of a proper program of health and fitness. 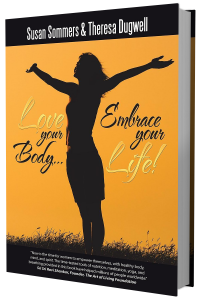 She co-authored Power Source for Women: Proven Fitness Strategies, Tools, and Stories for Women 45+ in 2010 and Love Your Body…Embrace Your Life! in 2016. A dynamic speaker, Susan was featured at a celebration for International Women’s Day in Jaipur, India, in March, 2015. She has delivered inspirational workshops on women’s fitness and health in Canada and in the United States. She also has been featured on television and radio shows and in fitness and women’s magazines, including LIVESTRONGFOUNDATION blog, the Globe and Mail newspaper, Canadian Running magazine, Active Adult Magazine, Rogers Daytime Toronto, and impowerage.com. Susan is a tour leader for the Womens Travel Network and she has co-led trips to Provence, France and to India. 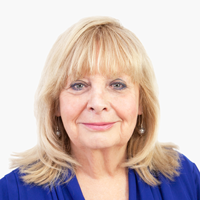 She has taught and lectured extensively in universities and at conferences across Canada and, for the past 25 years, she has taught marketing and media relations’ courses through the School for Continuing Studies, University of Toronto. As a Keynote Speaker, Susan has been featured at a number of fundraising events, including Power of the Purse and Joy of Aging. She is well known for her motivational keynotes and seminars related to women, including Lulu Lemon Athletica, Running Room, and Lole. She was the inaugural speaker for the YMCA Women’s Speaker Series, Celebrating Women, on defining achievement in personal fitness. 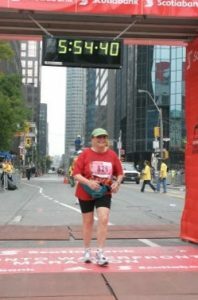 Susan’s perspective took a fundamental shift in 2002 when she began to walk and jog as a new Toronto YMCA member, at the age of 58. Over the past 10 years, She has completed 30 races, from 5k to Marathons. Susan won a first place medal in her age category in a Toronto 5k run in 2004. Susan also believes in motivating children to appreciate their bodies and commit to health and fitness. To this end, she and her ten-year-old granddaughter have participated in Girls on the Run, an annual non-competitive 5K event that aims to educate and prepare girls for a lifetime of self-respect and healthy living. They have also participated in Kiwanis fundraising events, with Peter, Susan’s husband (who is a two-time Boston Marathoner). Her other two granddaughters are involved in competitive sports on Vancouver Island and her three grandsons are committed hockey players. I am the author of three books on marketing and media relations: Building Media Relationships, 1st edition and 2nd edition and Marketing To Win: Creating and Sustaining Your Non-profit. To change the way women talk to (and about) their bodies, to themselves and to others, no matter where they are on their journey. To motivate women to shape their lives from the inside out, to stay “inner driven”. To encourage women to spend time listening to their bodies, to gain the information they need for a transformation. To motivate women to practice self-compassion and to nurture self-awareness, self-acceptance, and self-love. To inspire women to create daily tools, techniques, habits, and practices that work for their unique bodies and needs. To suggest ways for women to focus on the beauty within themselves and in others and to tap into their strengths, kindness, gifts, and talents. To motivate women to discover and embrace their unique strengths and skills.